The Steam blog has just updated with some intriguing snippets today. It seems like Steam users have taken quite a liking to Nintendo’s design choices. According to Steam’s statistics, around half a million players now game with Nintendo’s Switch Pro Controller on Steam. This was after Valve updated Steam with full compatibility for the controller. 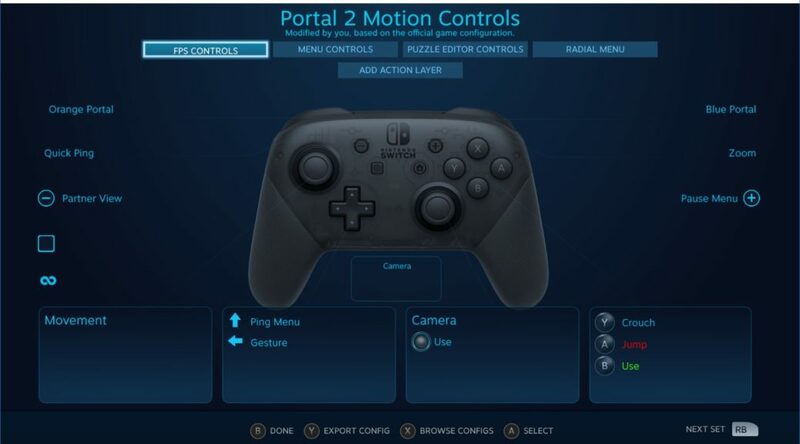 The Switch Pro controller arrived in 2017 and players immediately began attaching them to their PCs. At the time, support was mostly limited to basic Steam Input remapping; meaning the UI did not match the physical device and features like motion control and rumble were not available. In May 2018, a Steam update enabled the full feature set of the device, added matching artwork in the UI, and improved the overall experience. The result was an acceleration in Switch Pro controller registrations, and a rise to the 7th most popular controller type on Steam. But that’s not all. Almost 200,000 Steam users still play with SNES controllers, and about 130,000 play with Gamecube controllers! Check out the diagram by Valve below. It seems like Nintendo’s most popular controllers are getting a lot more mileage than just on their home consoles!